When Oklahoma and Ohio State meet Sept. 17 at Gaylord Family - Oklahoma Memorial Stadium, the top two programs in the Associated Press' all-time football rankings will be going head to head. The AP unveiled its all-time top-25 Tuesday and the Sooners are slotted in the No. 2 spot behind the Buckeyes. According to the AP, its formula for determining its all-time ranking counted poll appearances (one point) to mark consistency, No. 1 rankings (one point) to acknowledge elite programs and gave a bonus for AP championships (10 points). Ohio State, which has five national titles, accumulated 1,112 points while Oklahoma, which has won seven national championships, racked up 1,055 points. Joining OU and Ohio State in the top 10 were Notre Dame (1,042 points), Alabama (933), Southern California (974), Nebraska (901), Michigan (894), Texas (822), Florida State (714) and Florida (674). Texas is the only other current Big 12 school that has more than 300 points in the AP's all-time ranking that was announced Tuesday (see chart). 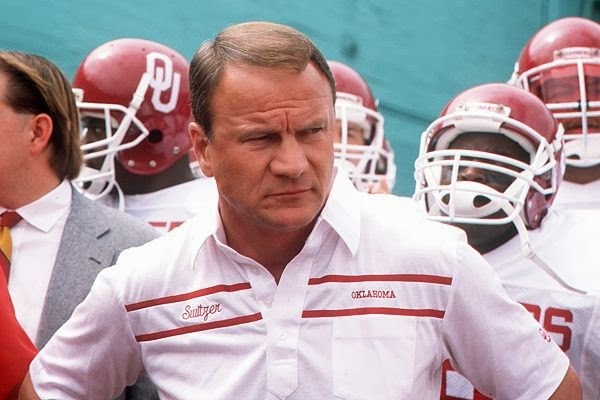 The AP noted that the Sooners lead all programs by ranking in the top five in percentage of poll appearances in five decades (1950s, '70s, '80s, 2000s, '10s). OU has appeared in 784 of the 1,103 polls since the AP began ranking teams in 1936. The Sooners rank second in all-time weeks ranked No. 1 (101), trailing only Ohio State (105), and have spent more time in the AP top 5 than any other program with 393 appearances. Oklahoma, which has more wins in the modern era (617 since the end of World War II) than any other program, has amassed 45 conference titles, 49 bowl appearances, 14 undefeated seasons and 35 seasons of at least 10 wins (leads the nation). It has won nine Big 12 championships in Bob Stoops' 17 years as head coach. No other program has won more than two during that span. OU starts practice Thursday and opens the season Sept. 3 against the Houston Cougars in the AdvoCare Texas Kickoff at NRG Stadium in Houston.